The Kittitas County Fair and the Ellensburg Rodeo are long standing traditions that bring travelers, performers, and vendors from around the country to town every Labor Day Weekend. Join me as we take a look at the history of these events, and how it all got started. In 1885, the people of Kittitas County held the first county fair. Exhibits included things such as local produce, home processed foods, hand crafts, wood work, and of course livestock. The picture below shows a ticket form the first fair in 1885. The admission price for the full weekend was $1.00 which paid for not just one patron, but a whole family. Following 1885 the county fair continued year after year, with the exception of 1917, 1918, and 1919 when the fair was cancelled due to WWI. In 1920 the county fair resumed. In 1922, County Official, Leonard Davis, proposed the construction of rodeo grounds. At this point in time there was no Ellensburg Rodeo, and the county fair had no permanent structures. Shortly after Davis’ proposal roughly 500 local men rallied together to begin the building process. Many of the men who worked on the construction were local farmers who brought their own horse powered machinery. 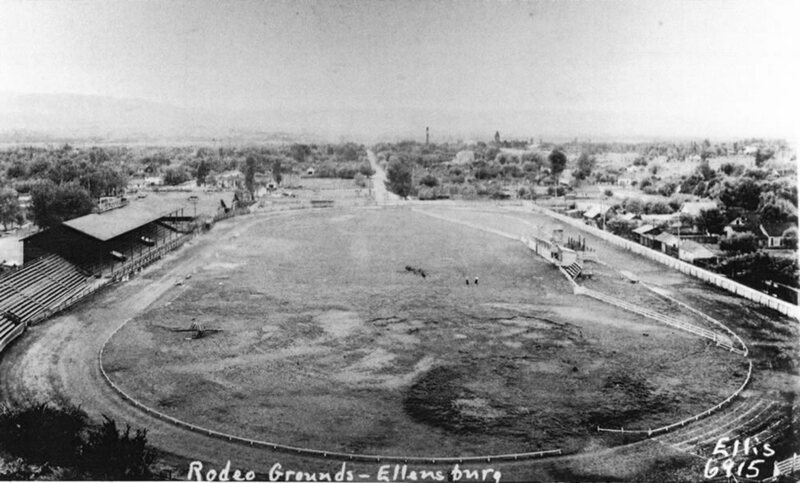 The original grounds included a rodeo arena, grandstands, a 1/3 mile racetrack, and an out building (now known as Teanaway or Umtanum Hall) to house exhibits. In roughly 90 days, what we now know as the Kittitas Valley Event Center (or Fair Grounds) was built. Construction finished just in time for the 1923 Kittitas County Fair and Ellensburg Rodeo. Prior to the construction of the Fair & Rodeo grounds, over 200 residents of Kittitas County would gather together every other weekend to spectate or participate in ranch rodeos. 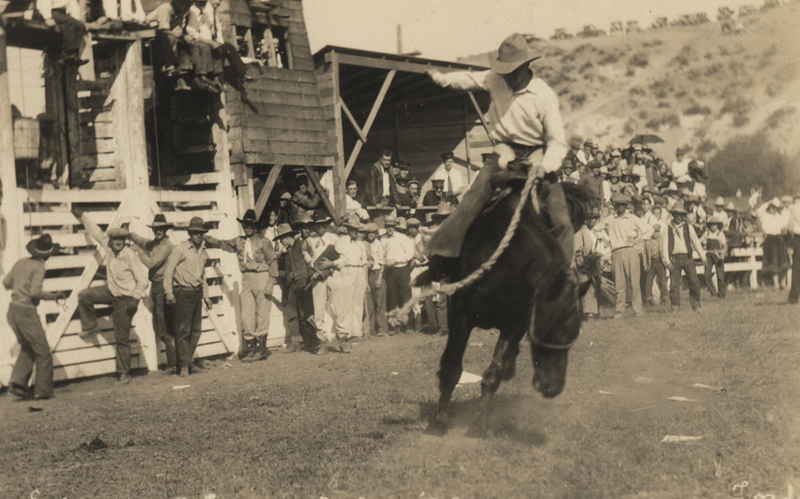 Unlike professional PRCA style rodeos, ranch rodeos were a more casual affair where local ranchers and cowboys would compete at different farms and ranches around the county. With such high attendance for the ranch rodeos in the valley, it should come as no surprise that the first ever Ellensburg Rodeo in 1923 went off without a hitch. In fact, it was a booming success. All of the bleachers and grand stands were filled, and over 300 curious spectators were turned away. The 2017 Kittitas County Fair and Rodeo is just around the corner. Taking place August 31 – September 4. This year, the Ellensburg Rodeo will be reintroducing an old event, Rockin’ the Arena, which will take place on Thursday, August 31 and feature none other than Ned Ledoux, son of country music legend, Chris Ledoux. I encourage you, your family, and your friends to participate in this long standing local tradition, by attending the 2017 Kittitas County Fair & Ellensburg Rodeo. For more information regarding the history of these events, here are some helpful links.